Xiaomi has been planning to start selling its smartphones in the United States for many years now, but the Chinese company never found the right moment to make such an important move. Xiaomi is the fourth largest handset maker in China and has already successfully launched its smartphones in India and other countries in Southeast Asia. More recently, it kicked off operations in some European countries, including Spain. Xiaomi is no stranger to the US market since the company is already selling a range of products in the country such as cameras and speakers. However, in order to be successful, Xiaomi needs to team up with at least one major US carrier, something that isn't easy at all due to national security concerns raised after Huawei's attempt to sell its flagships via AT&T and Verizon. 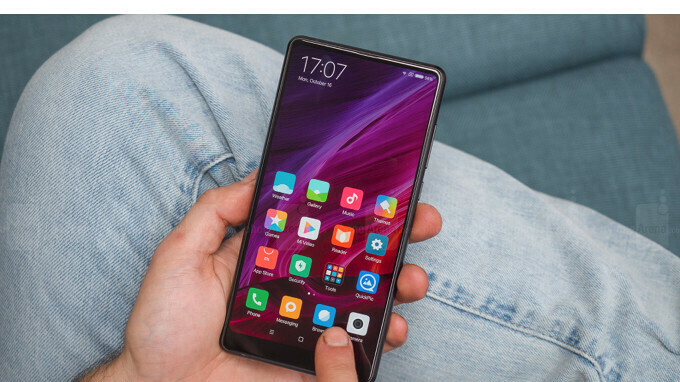 The good news is Xiaomi did not yet drop the idea of bringing its smartphones in the United States, so here is hoping that will happen sooner rather than later. Xiaomi has been entering US Market since... I dunno... Past 5 years? Anyhow, I'm sure there will be some severe legal complications (mostly from... Apple, I'm afraid) if Xiaomi eventually decide to do so. Oh well, G'Day! Got to love it when folks take every opportunity to take jabs at whatever they don't like. Xiaomi sales cheap android devices, guest which company does not use android (Apple). Apple is the last vendor that will be effected by Xiaomi entering the US. Everyone selling devices running android as their os will be effected first. Not saying Apple will be immune by a move like this, but everyone else will be effected by this before they do. They'll likely get the same treatment as Huawei unfortunately. I love my Mix2 and it would probably sell well if given the chance. One interesting note is that I own a P10 and Mix2 and using Spy Monitor the Huawei shows no connections to any servers in China but the Xiaomi has several. Of course for the Xiaomi that's all part of their cloud services, appstore, themes, registration etc. But it's still sending some data to China. If Xiaomi sells the Mi Mix 2S in the US, it will be a day one buy for me. That thing is an absolute beauty, especially with the much more discreet corner notch. Apple or the US government will surely block their entry if this news is true. Like China do to many US companies. Love it when folks only see things as a one way street. His comment in no way implies he sees things as a one way street. You just wanted to throw your two cents in. @aegislash - That is exactly what his comment meant and you know it. And to use Apple as the company who stand to benefits when he presented zero evidence to back up his claims. Last I check Apple is not the only smartphone vendor selling phones in the States. If you are going to make a claim like this, then you better show some evidence or expect others to challenge you on it. They’ve said this since 2013. There was a report back then where someone explained why this company will never come to the USA and god were most of their points right on the money. They will get hit with lawsuit after lawsuit. Please enlighten us on what the lawsuits will be targeting. I'm curious. Hardware, software or design? Xiaomi have been buying up patents or licensing intensively since 2013. Why haven't they been sued in Europe, Asia or India yet? All the big players including Apple, Huawei and Samsung are in those markets competing head to head with Xiaomi. You're perpetuating an internet myth that has zero basis factually. Look forward to Xiaomi entering the US market. But subject to approval of Federal Authorities and finnaly US Citizens. Hopefully that means they'd have more originality. They'd need it if they hope to compete in the US market. The US government will probably do to them what they did to Huawei, "your phones can't come to the US because you're from China"